Non-blocking notification that doesn't take keyboard focus. Definition at line 64 of file llgroupnotify.cpp. 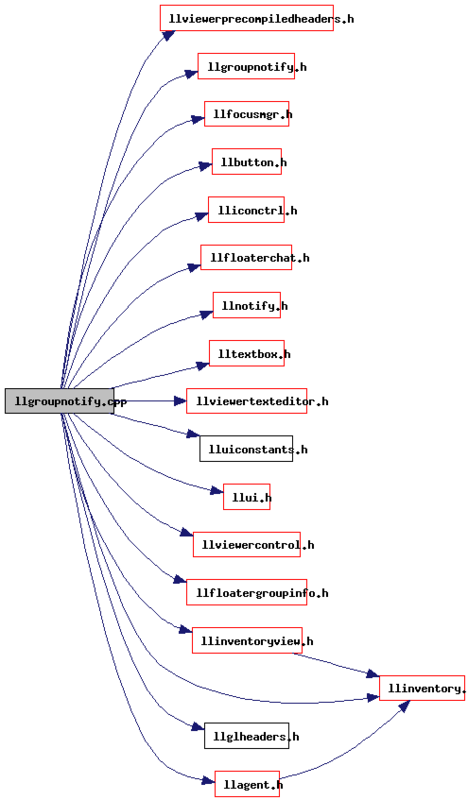 References LLStringBase< char >::copy(), and t.
Definition at line 99 of file llgroupnotify.cpp. References LLAssetType::AT_IMAGE_JPEG, LLAssetType::AT_IMAGE_TGA, LLAssetType::AT_LANDMARK, LLAssetType::AT_NOTECARD, LLAssetType::AT_TEXTURE, and LLAssetType::AT_TEXTURE_TGA. Definition at line 56 of file llgroupnotify.cpp. Referenced by LLNotifyBox::draw(), and LLGroupNotifyBox::draw().